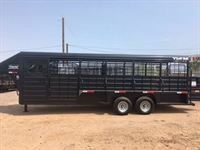 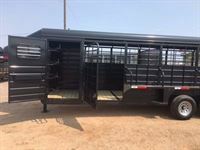 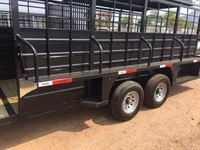 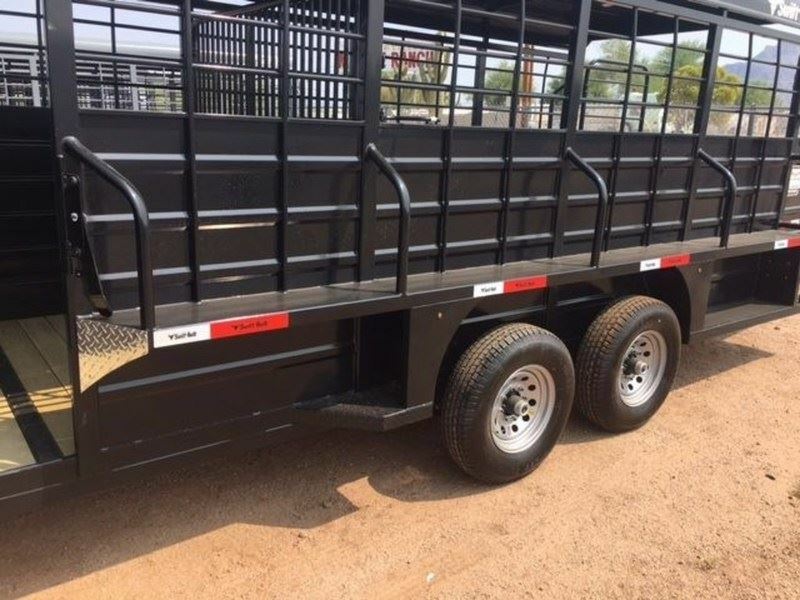 New to our line of stock trailers!! 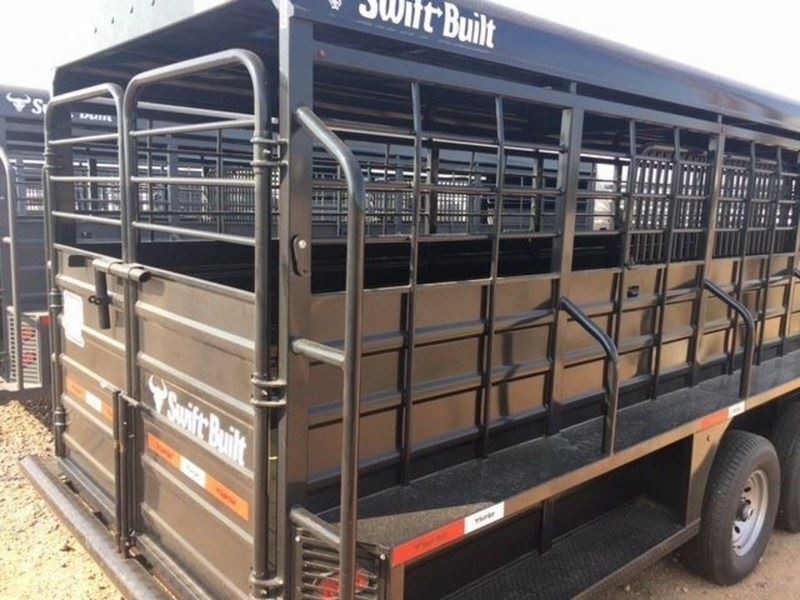 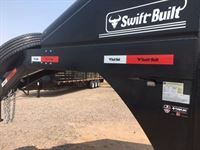 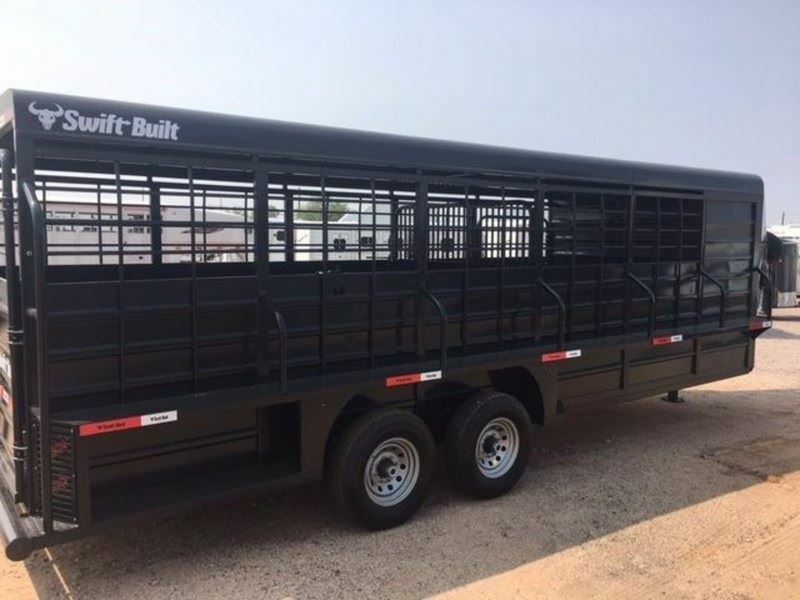 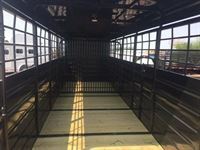 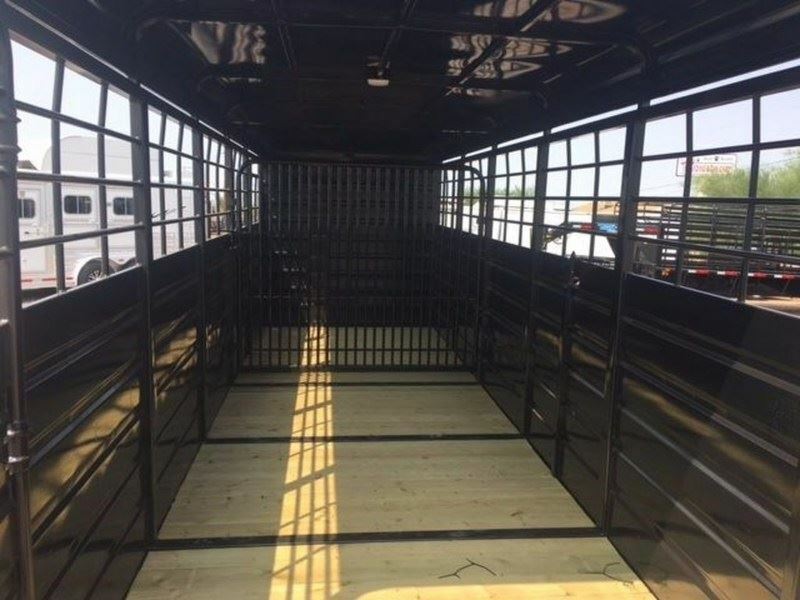 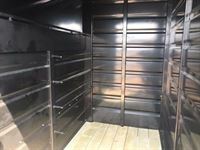 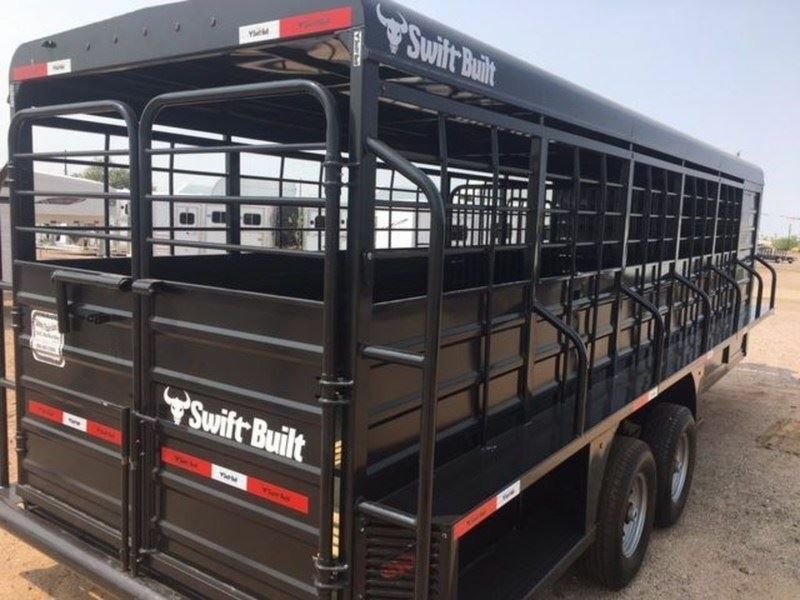 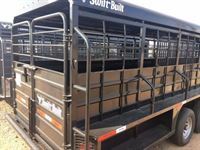 2018 Swift Built 24-foot stock trailer with 4' tack room, includes bridle hook, brush trays & swing out saddle rack. 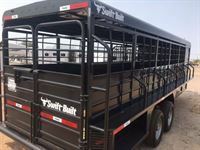 Trailer measures 7' tall 6'8" wide & 20' foot in the stock area. 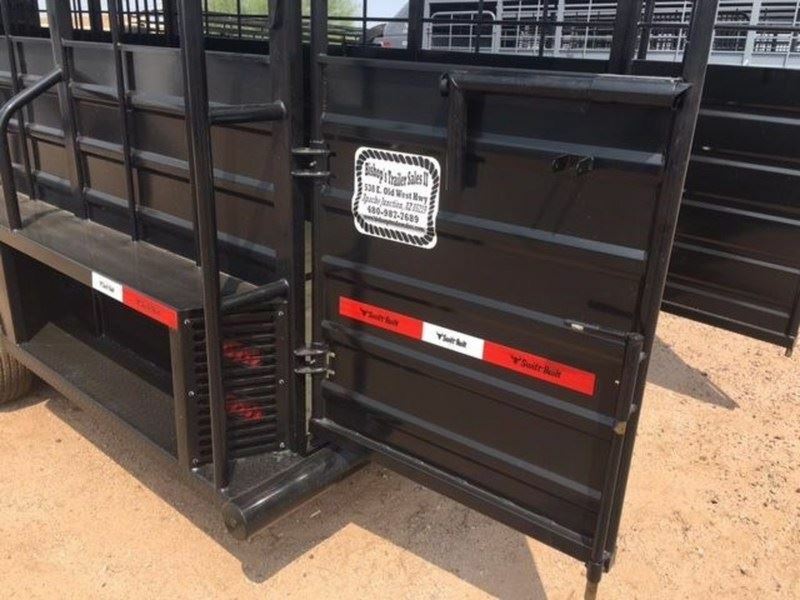 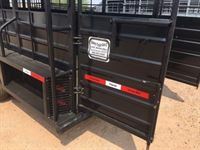 Also includes a spare tire, self locking hitch calf nose 48" escape door, grease able hinges, full running boards, heavy duty diamond plate at front of trailer along with a heavy duty diamond plate step, LED lights, double tall lights with metal grill protectors, three latches on back gate for safety, double back gates, 1 center cut gate, full metal top, 3"x 2" metal tubing uprights. 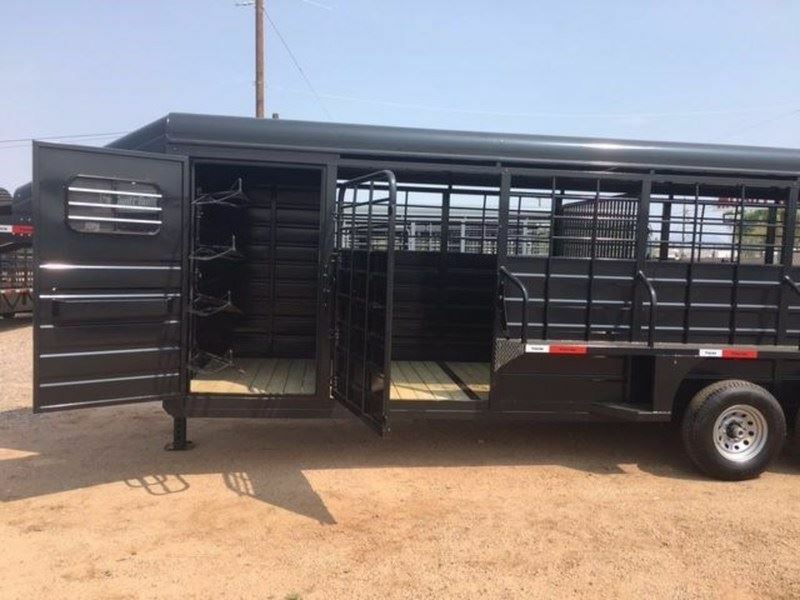 This is a ranch trailer deluxe.